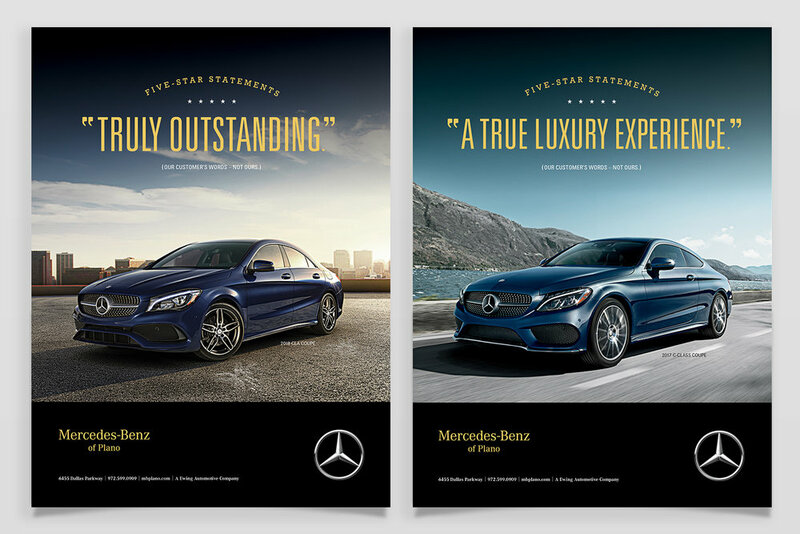 As part of our new Mercedes-Benz of Plano advertising campaign, Banowetz + Company created a series of clever and humorous radio spots to complement the print ads which rolled out this month. The new campaign messaging is all about how the service, selection and experience with MBP are so great, it’s hard to find words to describe them. Listen to the spots below and you might learn a few new adjectives.